English angustifolia that flowers consistently the first year from seed when started early in the growing season. A real boon for gardeners facing a short growing season! Lavender Lady is an All-America Selections winner! A small compact grower and perennial in zones 6-10, this Lavender may be grown as annual in northern regions. Plant in full sun in well drained soil. 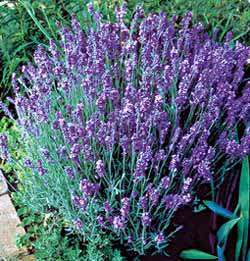 Lady Lavender grows into compact mounds with dense gray green foliage. 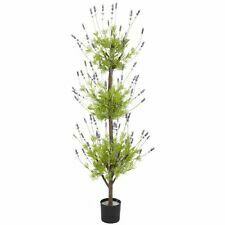 Lady produces an abundance of flower spikes topped with fluffy fragrant Lavender flower clusters. A perfect plant to grow in containers or as a low edging along a walkway. Plants will reach a mature height of 16 inches with about a 10 inch spread. Easy to grow from seed as plants produce viable seed and will readily reseed themselves.